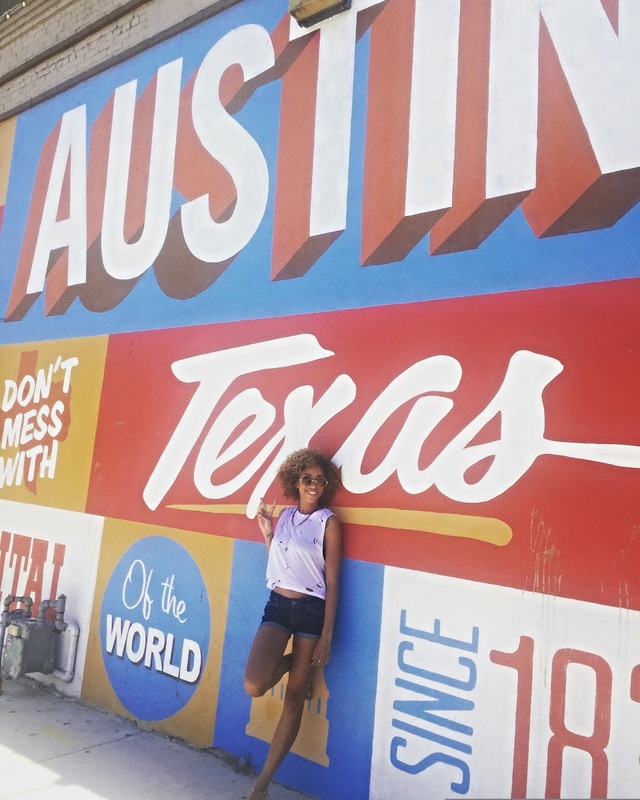 I'm a music lover and more importantly I LOVE to dance, so my first night in Austin a group of us were walking to the local food truck before our night on the town, and all I could hear was Young Thug echoing in the distance so obviously I followed the music which led to this magical place called Hotel Vegas. Walking in my first initial thought was “it’s hot as hell, why don’t ya’ll have AC”. A cloud of sweat, perfume, American spirits and hair product hit me like a ton of bricks. Half indoor half outside bar, smelled like sweat and candy, I knew I was home. After waiting in line outside I finally got in, and when I did it was everything I was looking for TRAP, TRAP and more TRAP, and not to mention a lot of sweaty hot men. I’m pretty sure Austin is the home of nice people, the vibes I was getting all night made me feel so welcome, or it could’ve been that every third person I met wanted to touch my hair ? ITS JUST A FRO PEOPLE. The place was packed wall to wall, no air, we were all sharing sweat and dance moves. After squeezing through the crowd I finally made it to the dance floor, right in front of the DJ where I belong, who by the way looked like 2 Chainz with only one chain. After finding my corner next to a group of cute natural haired girls, it was time to show these Texans how us Cali people turn up so I cuffed my khakis with a crease and twisted my fingers like YG. It was LIT but the best part by far was when the DJ played a trap version of Killing me Softly by the Fugees. It was music to my Trap ears, I've never heard this version and the whole place started belting it out, “I heard he sang a good song” from that point on it was a night at the acapella, except I was surrounded by fifty sweaty strangers. After the song ended, I walked away feeling like I had fifty new friends, if you're looking for a little piece of home in Texas , Hotel Vegas in Austin is where it's at.